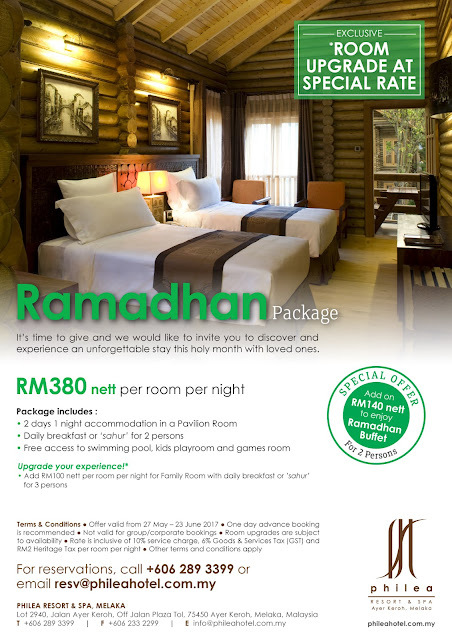 Melaka, 24th May 2017 – Embrace this once-a-year Ramadhan tradition by sharing unique experiences with family and friends at Philea Resort and Spa, Melaka. The resort invites guests to share the ceremonial breaking of the fast with loved ones in the relaxed, open air family-friendly setting of Oasis Square. Revel in our ever-popular ‘buka puasa’ buffet spread themed ‘Heritage Flavours’ as our culinary team whips up generous choice of Ramadhan traditional dishes and also Asia favourites, ranging from appetizers, ulam-ulam and salads, soups, main courses, live hawker stalls and not forgetting delicious desserts. The various starters ranging from refreshing garden salads to the assorted ulam-ulam are a perfect beginning to a sumptuous spread. With a rotation of three different menus throughout the promotion, the must-try traditional flavour includes Gearbox Soup, a popular bone marrow broth made from beef ribs that are simmered until the meat is tender and has a melt-off-the-bone texture. Other signature flavours include Rendang Tok, Pajeri Nenas Johor, Gulai Kepala Ikan Utara, Kambing Masala, Bubur Lambuk, Stir-Fried Mussels with Chilli, Briyani Rice and many more are available too. 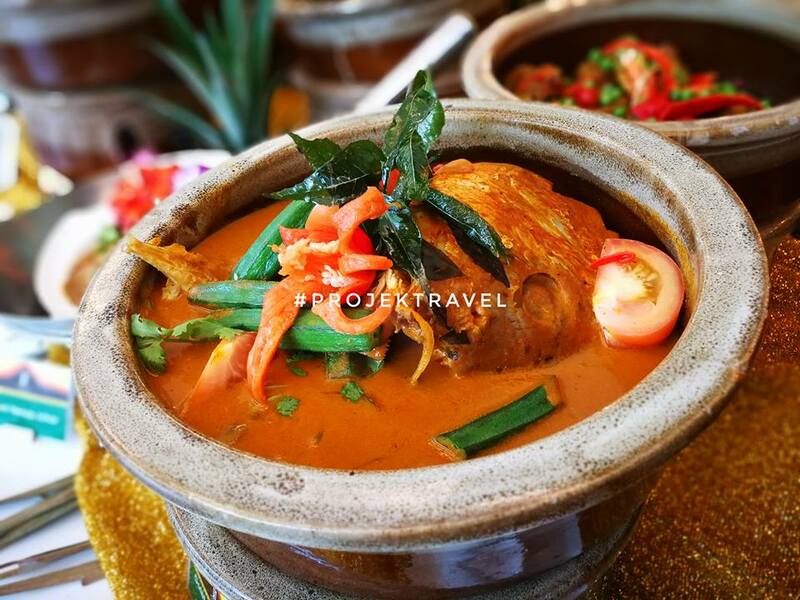 In addition, there will be local local favourites such as the mouth-watering Sup Kambing Mamak, Fish Head Curry, Asam Pedas Ikan, Daging Gulai Kawah, hot and spicy Roasted Beef with Sarawak Black Pepper Sauce, Braised Lamb with Chinese Herbs and more. Adding to the buffet’s numerous flavours, the alfresco dining includes 11 live hawker stalls showcasing the foods with various Asia specialties such as Bukhara Lamb Carcass, Seafood Tempanyaki, selection of Pasta, Dim Sum, Tandoori Chicken and local delicacies such as Kajang Satay, Chicken and Duck Rice, Penang Asam Laksa, just to name a few. 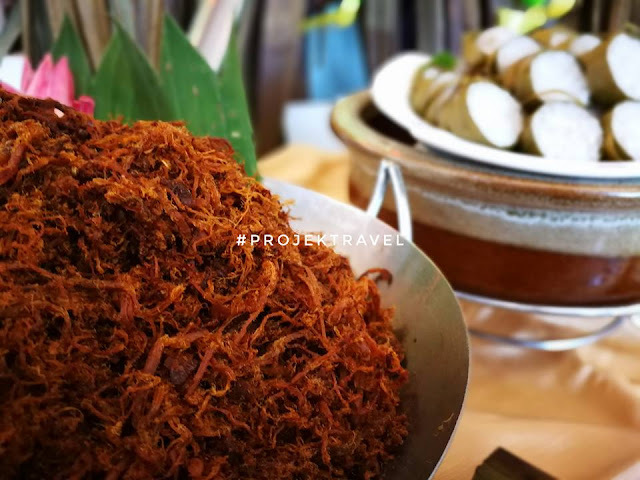 Some notable desserts to look out for are Tapai Pulut, Tapai Ubi, assorted Dodol, Kurma, Kuih Lapis, puddings, assorted mousse and cakes, ice cream and fresh fruits. Top off your meal with our refreshing beverages such as Malaysia’s favourite Ais Kacang, Ais Krim Goyang, cordial drinks, juices, coffee, Teh Tarik and a lot more. The ‘Heritage Flavours’ Ramadhan buffet is available daily with rotating menu from 27th May to 23rd June 2017 at Oasis Square. The buffet priced at RM98 nett per person for adults and RM58 nett per person for children between four to 11 years old and senior citizens 60 years old or above. In-house surau is also made available for all Muslim guests during this Ramadhan buffet period. For more information or to make a reservation, please contact Ramadhan buffet hotline at 06-232 8336 or email fb@phileahotel.com.my.